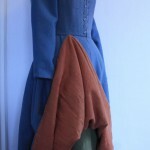 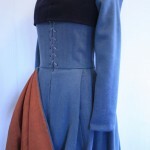 Made in light blue wool with orange linen lining. 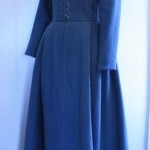 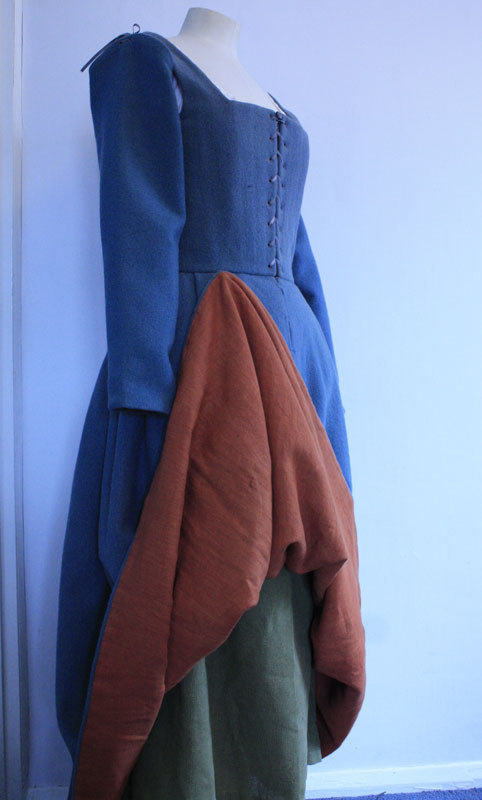 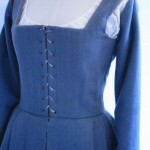 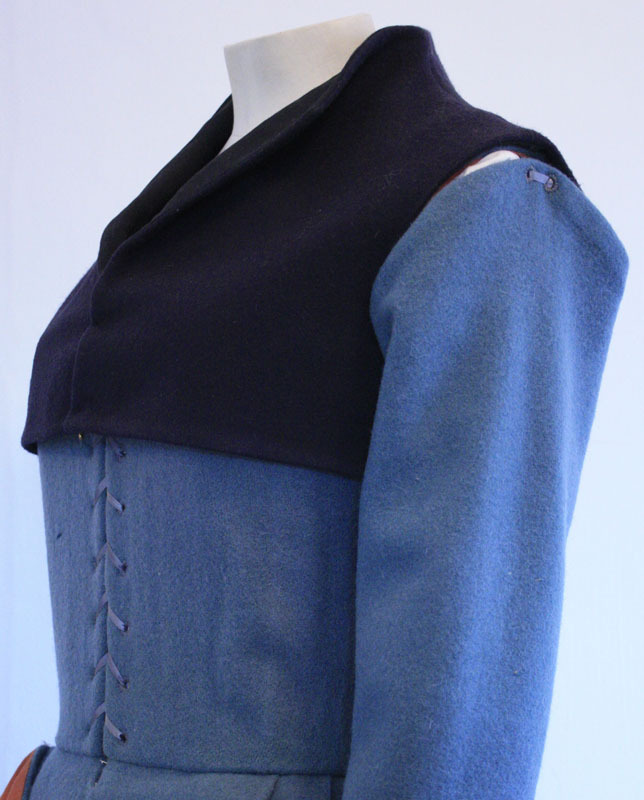 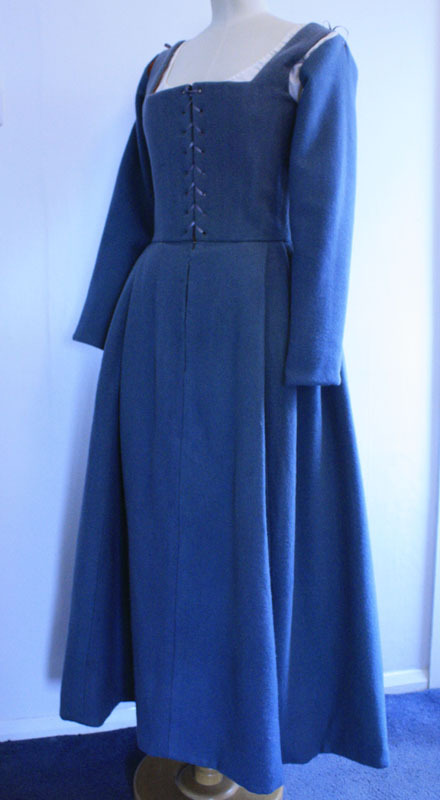 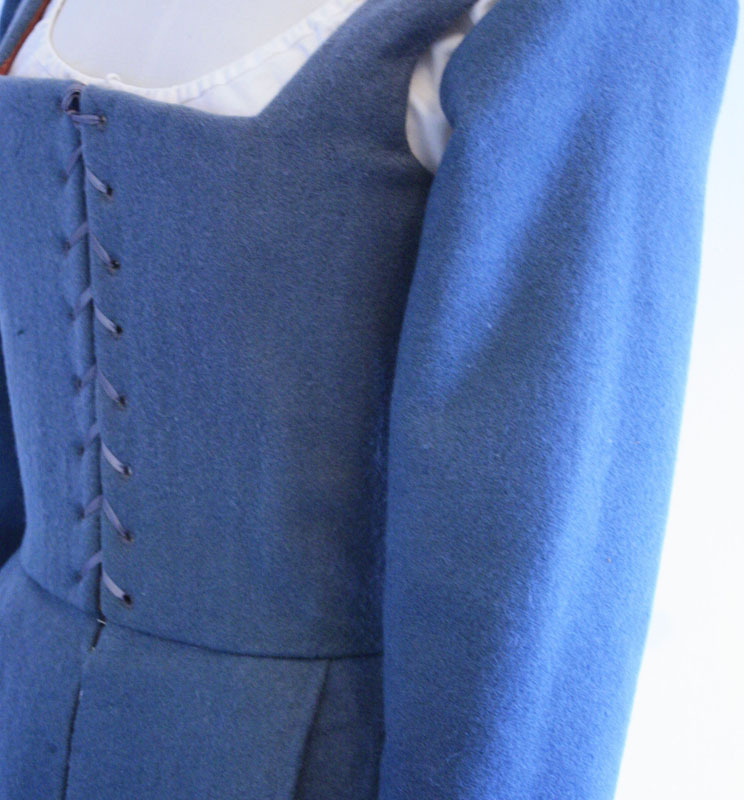 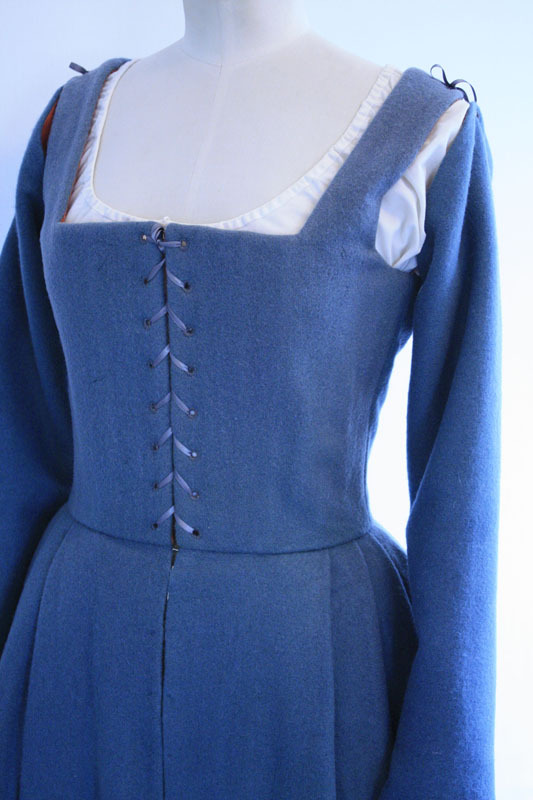 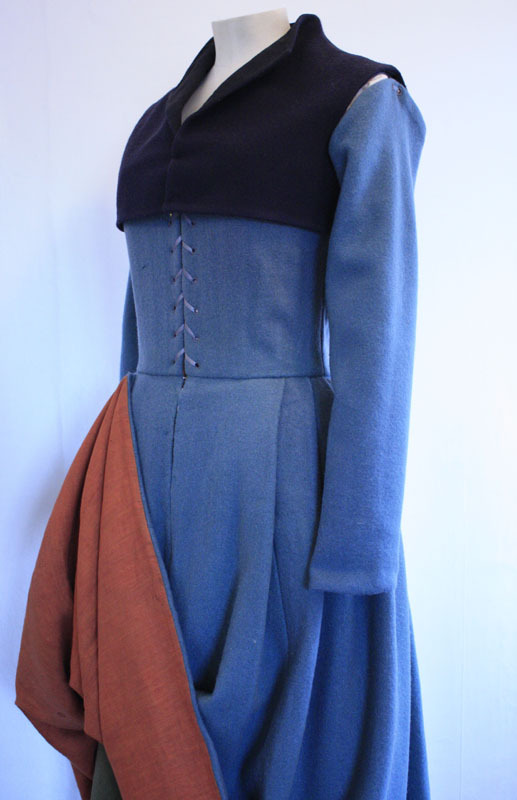 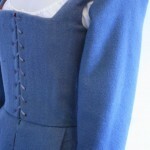 This kirtle is made as one dress but the skirt is cut completely separately to the bodice and once pleated and lined is then attached onto the bodice before the bodice lining is finished. 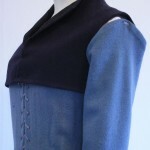 The partlet is made from dark blue wool.